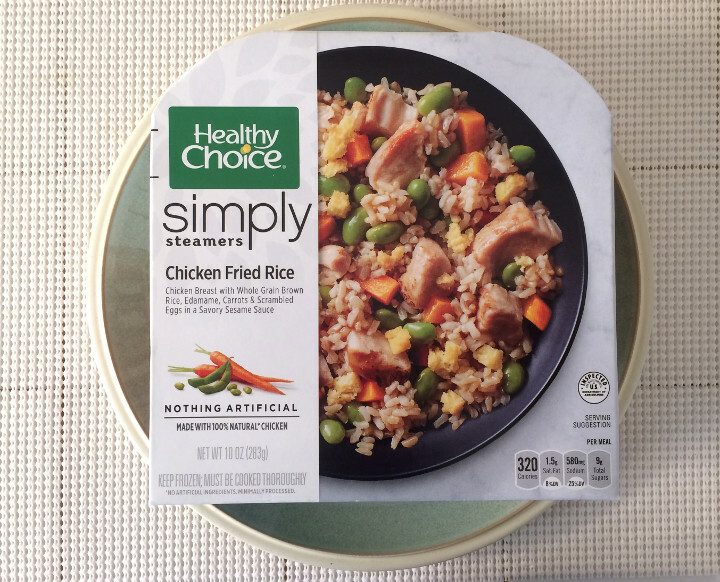 We were in the mood for something a bit on the simpler side, so we decided to check out Healthy Choice’s Chicken Fried Rice. 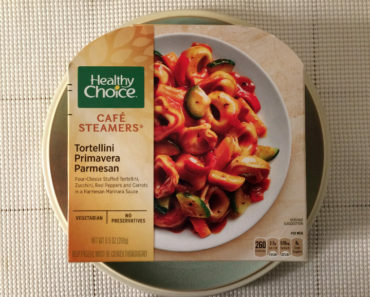 Just looking at the package, you can tell this is a simple dish, and that’s made even clearer by the fact that this is part of Healthy Choice’s Simply Steamers line. The word Simply is right on the box! 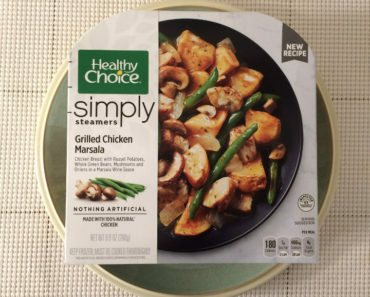 Like the other meals in the Simply Steamers line, this comes with a colander that keeps its main ingredients separate from the sauce while it’s cooking. When you’re done heating this up, simply dump the colander into the bowl beneath it and give it a good stir. We tend to like this method when it comes to pastas, like the Chicken Margherita with Balsamic, but we don’t always find it conducive to Asian-inspired dishes. With this particular sauce, however, we don’t find this to be a problem. That aforementioned sauce is a sesame sauce. It’s mostly soy sauce with some rice vinegar and sake wine, and it’s subtle enough that it doesn’t get in the way of this dish’s intentional simplicity (which, as we mentioned before, was a big selling point for us). 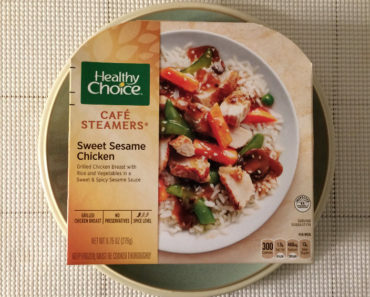 The chicken here is halfway decent, though we wouldn’t call it our favorite frozen chicken. The package claims that it’s seasoned, but we couldn’t really taste any seasoning on it. It’s juicy and tender, and it tastes like a white meat should — that is, it’s not incredibly flavorful, but it’s also inoffensive. 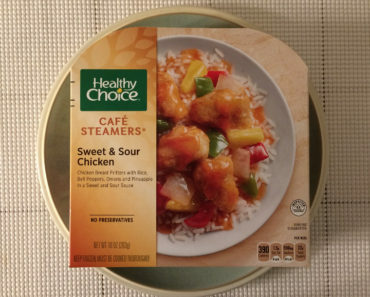 There are two choices that Healthy Choice made with this dish that we really enjoy. 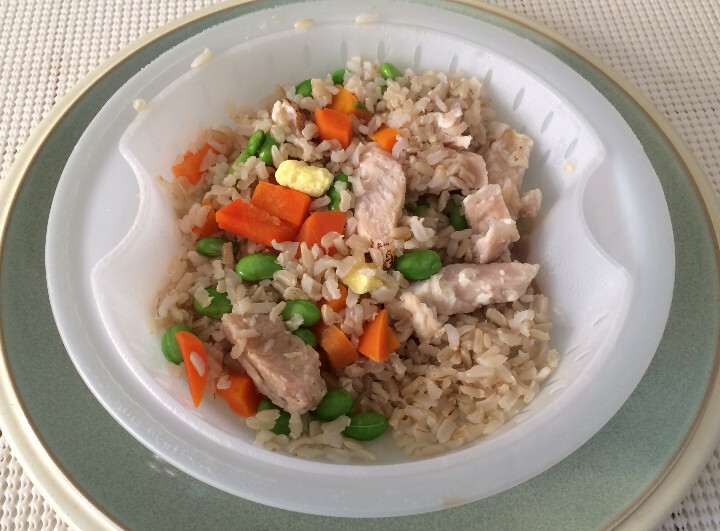 The first is the addition of scrambled egg, which is a must-have in any good chicken fried rice dish. Second, they replaced what would normally be peas with edamame. Many of our staffers dislike peas, so we were thankful to be rid of them. Plus, the edamame adds a nice crunch that would otherwise be absent from this meal. As expected, the rice is nothing fancy. It’s pretty bland, but that blandness is at least partially covered up by the sesame sauce. Plus, there’s enough of the other ingredients that a bite with nothing but sauced-up rice shouldn’t be too common. 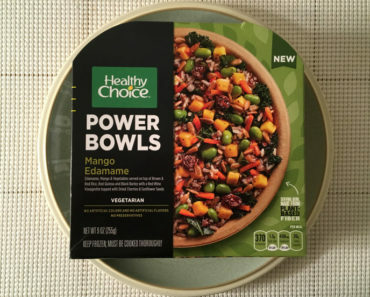 This actually contains more calories than many of Healthy Choice’s other dishes, at 320, but all things considered, that still isn’t a lot. 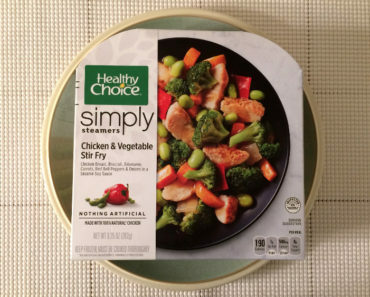 Plus, with 580 mg of sodium it’s also lower in sodium than many of the other frozen foods out there. 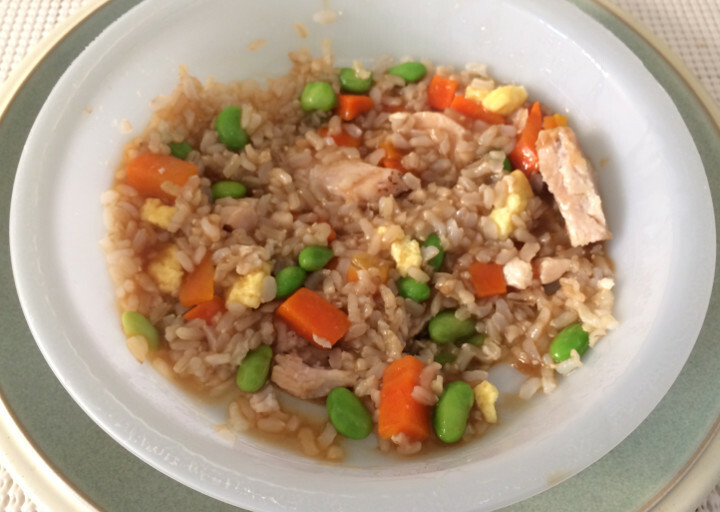 The Healthy Choice Chicken Fried Rice lives up to its promise of simplicity. It’s not an explosion of flavor, and most of it’s taste is subtle. But if you’re in the mood for a simple fried rice dish, you could certainly do worse. If you’re curious to learn more about the nutrition or ingredients in this fried rice dish, check out our package scans below.